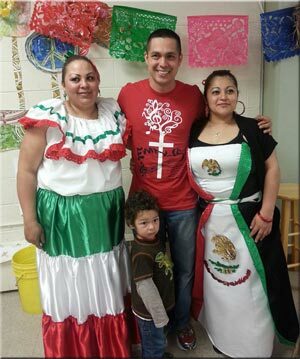 Proceeds for the May 18 Fiesta Mexicana fund raiser at Emmaus surpassed goals by $165. Net proceeds for the day of food, music, silent auctions and raffles, has reached $6,165, including $1,600 in matching funds applied for from Thrivent Financial for Lutherans. Many thanks to all who donated food, time, and hard work to make the Fiesta fundraiser such a success! Special thanks go to sponsors Danny’s Meats and Jose Blue Sombrero, who supplied most of the food served for the event—and most of all, to all who bought raffle tickets, bid on auction items and came to enjoy the food, music and fun in person! All proceeds of the fundraiser will go to fund regular programming and operating costs included in Emmaus’s general budget.